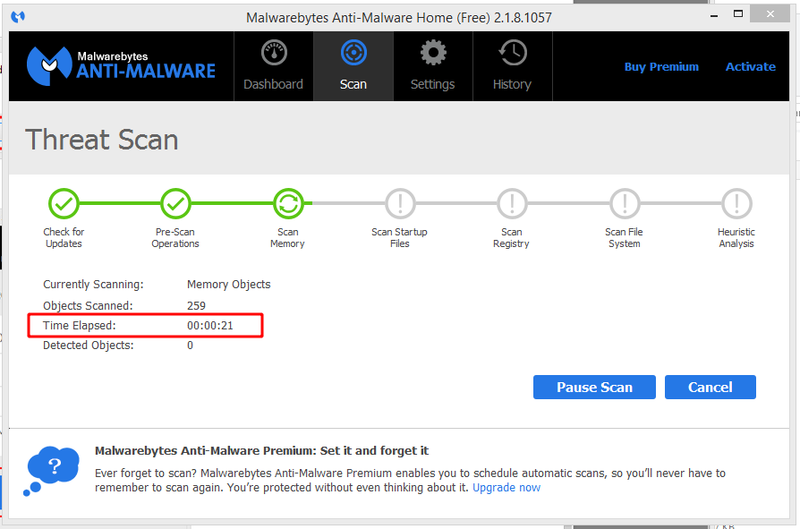 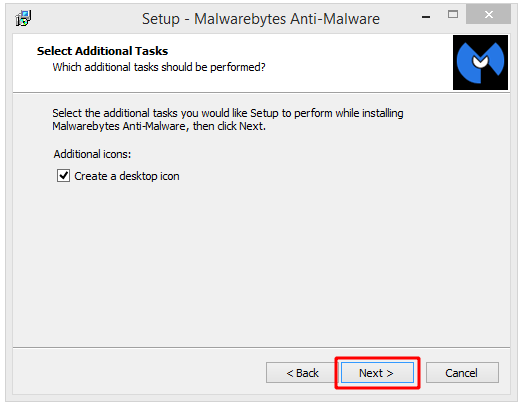 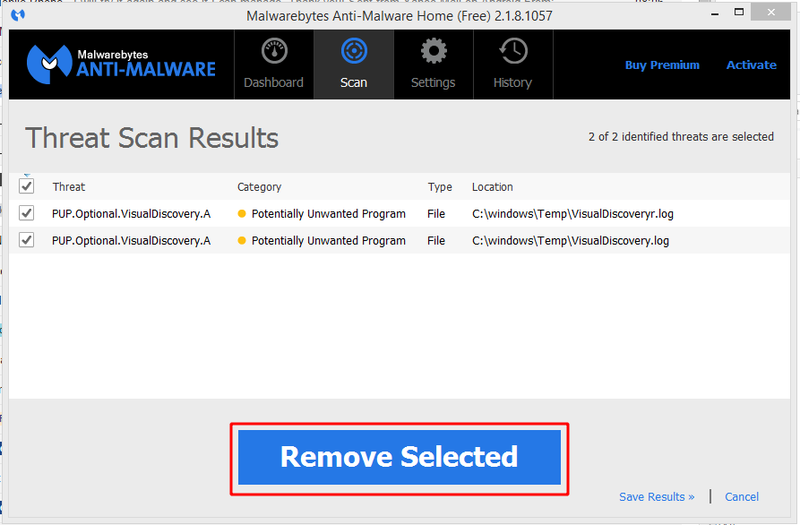 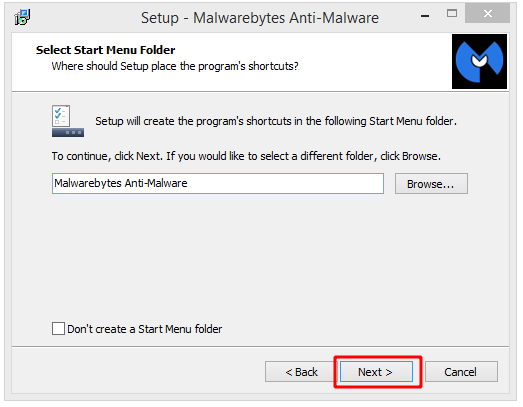 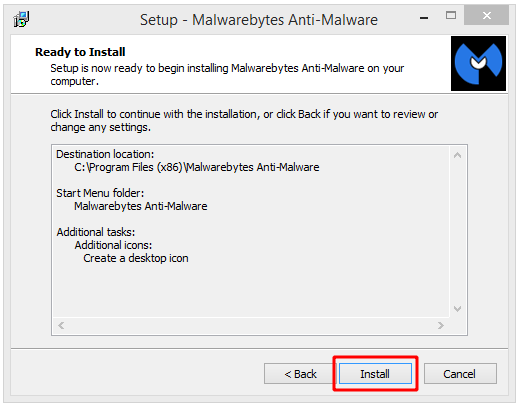 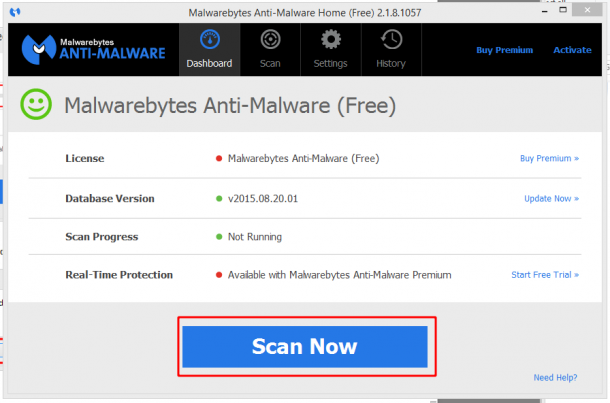 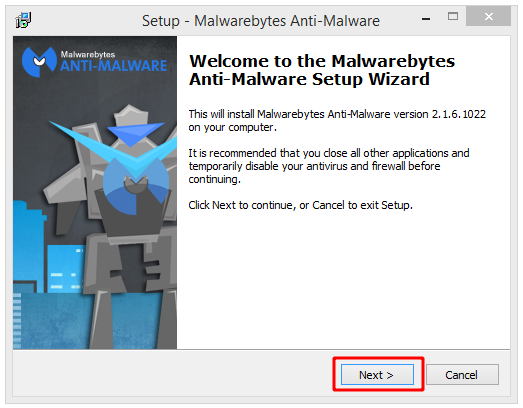 Malwarebytes Antimalware (often abbreviated to MBAM) is a very good malware detector and remover. 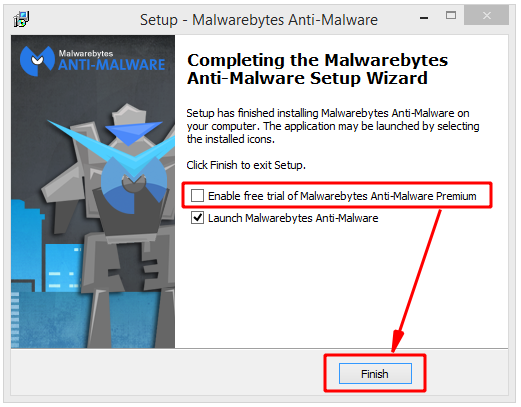 There is a free and a paid-for version, and they share the same installation program – so when you install it and run it for the first time it’ll ask you if you’d like to use the paid-for version (or, more likely, a free trial of it). 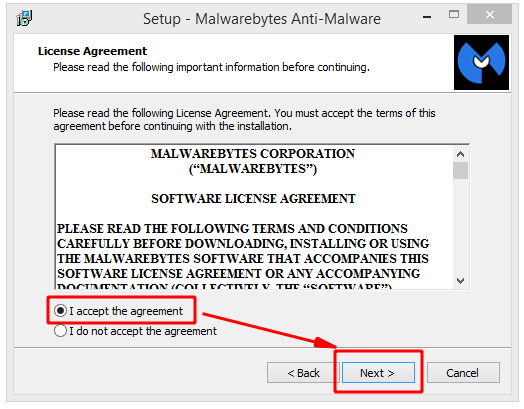 You don’t have to – you can use the free version assuming that you’re using it on your own personal PC and are not using it commercially. 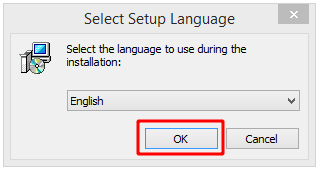 Installing is straight forward – no difficult questions to answer. 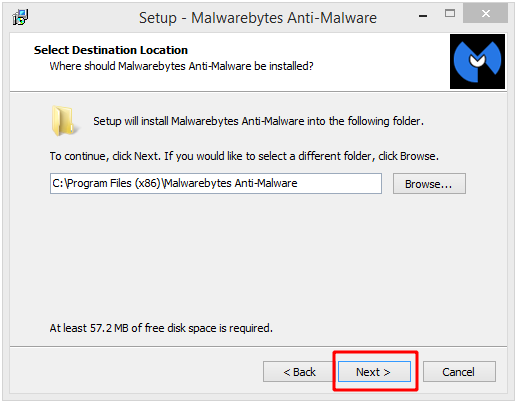 Just accept all of the defaults when you run the installation program – it’ll copy the program to your PC and do the setup it needs, you just need to decide if you’d like to use the free or the paid-for “Pro” version towards the end. 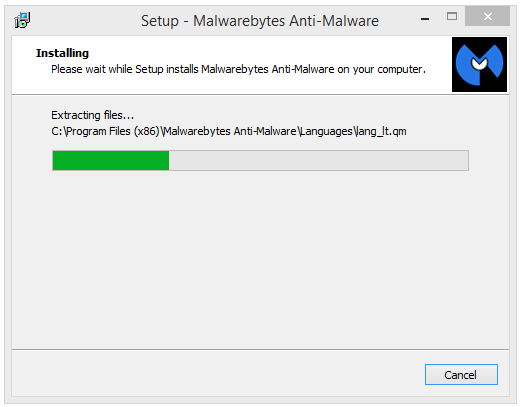 Updating doesn’t take long – just a few seconds with a broadband connection. 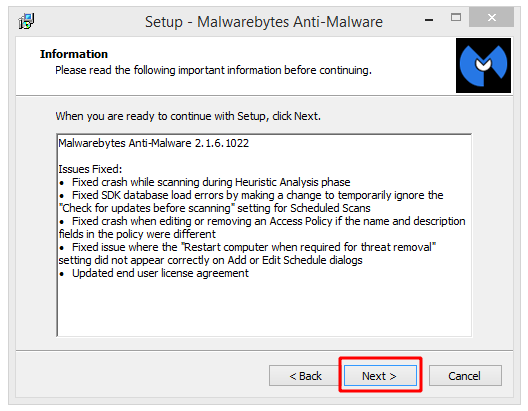 After removing problems, you should reboot your PC and do another scan – perhaps a full scan, and repeat until clean.